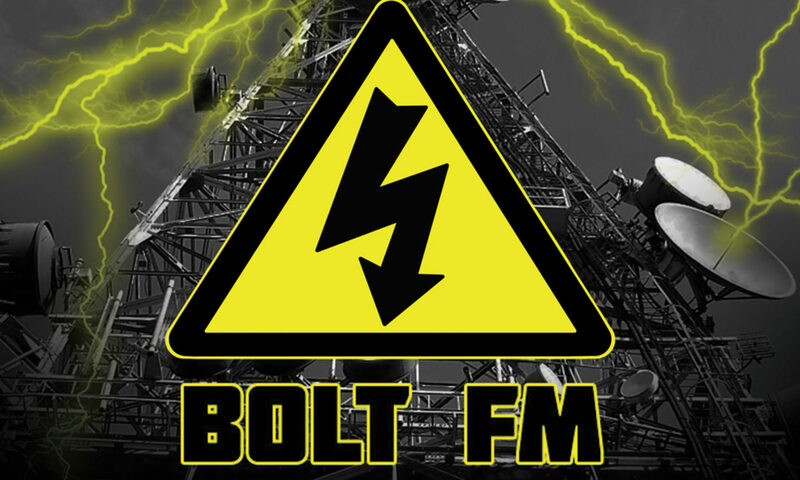 Bolt FM works alongside teachers to cover aspects of the curriculum in a variety of accessible, enjoyable and educational ways. In Primary Schools, our most popular package involves looking first at the history of radio, then how it is used today to communicate with others. 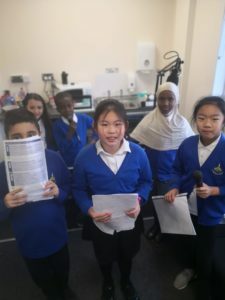 We work with the pupils and teachers to plan how to tie the class topic into a radio show, using a variety of literary styles from poetry, interviews and drama scripts to the music and chat links required, discussing the skills necessary for each method of communication. Members of the class can take on different roles within the radio show, including group leadership, script writer, performer, producer/director, and children as young as 7 can be taught to engineer their own radio show in less than ten minutes! 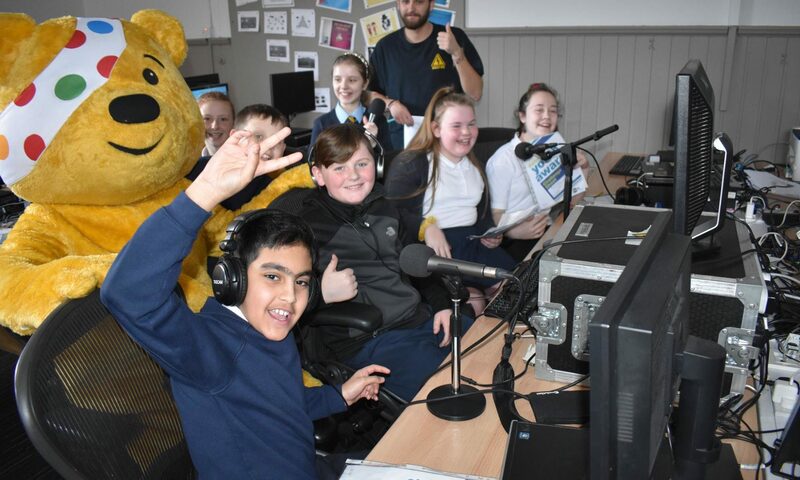 Radio shows are broadcast on the internet, allowing the wider school, parents and the community to listen to the pupils’ work. 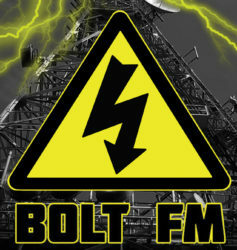 We record the programmes for posterity, and some may be used in our once a year, FM broadcast. Pupils from Dalmarnock Primary School working on their Dynamic Youth Awards. Silver package – As above but with SQA accreditation. Gold package – As above but with a longer term relational approach that can be designed to meet the needs of your pupils and school. Total – Negotiable depending on requirements.